Presidential debates do not determine actual policy, but they do set conversation agendas. After three debates this year, global climate change was not mentioned once. It's increasingly clear that the US political machine is incapable at this time to address the threats posed by climate change. Global climate change is not even on the conversation agenda. Further, the US political elite have zero coherence on matters of an energy transition. Striking evidence of this fact is that typically celebrated capitalist entrepreneurialism, in the form of renewable, green energy technology companies, are openly ridiculed and lambasted by right-wing pundits and politicians. Yes, some of these companies received government loans and subsidies, and yes a few of them failed, but almost all US businesses benefit form direct and indirect subsidies (roads, highways, tax codes, etc). Global climate change is a dead policy issue in Washington, but the end around energy transition from fossil fuels to renewables is also so politicized that no policy coherence seems possible. The nascent US wind turbine industry is poised to collapse if congress doesn't renew subsidies for the industry. Contrary to the ahistorical accounts from pundits and politicians, all energy transitions involved policy guided capitalism (see English industrial revolution, or US automobile, oil boom). Sadly, novelist Kim Stanley Robinson is probably right, in 200 years our period will be known as the Great Dithering. Posted in Climate Change, Politics, Economy, energy and tagged with Climate Change, Economy, Politics, Energy. October 23, 2012 by Nik Janos. Businessman from the US conducts unregulated geoengineering experiment off the coast of Canada, dumping 100 tons of iron sulfate into the Pacific Ocean. Native American communities were told it was a salmon enhancement project. It was not. George told the Guardian that the two moratoria are a "mythology" and do not apply to his project. We are going to see more of these kinds of geoengineering stories and the international governance institutions need to agree on rules, norms, and regulations for these kinds of activities. Update: The Guardian now reports that members of the Canadian government knew about and was complicit in this experiment. The chief executive of the company responsible for spawning the artificial 10,000 square kilometre plankton bloom in the Pacific Ocean has implicated several Canadian departments, but government officials are remaining silent about the nature of their involvement. Posted in Geoengineering, Politics, Climate Change, Technology and tagged with Geoengineering, Politics, Climate Change, Technology. October 16, 2012 by Nik Janos. Just as a cleaner electricity system would be preferable, so too would a more small-d democratic system, one that distributes economic and social power more widely. Posted in Politics, Economy, Consumer, energy and tagged with Politics, Economy, Consumer, energy. September 17, 2012 by Nik Janos. Posted in Climate Change, Politics and tagged with Climate Change, Politics. April 13, 2012 by Nik Janos. The problem with train travel in the US is largely the rail network. I traveled from Central California to San Diego this week and the train had to stop and wait repeatedly. The trip took entirely too long. We had to wait for other Amtrak trains, MetroLink trains, and freight trains. We were stopped for up to 20-30 minutes at times, and were once stopped about 100 yards from a major station as we waited for a freight to pass. If train travel is ever going to be competitive, efficient, or convenient the issue of track space and track right of way needs to be addressed. Imagine if while on a plane the captain said, "Ok folks, we've got to land at the next airport because the airway is being used by another plane. We'll be down and up off the ground as soon as we can." 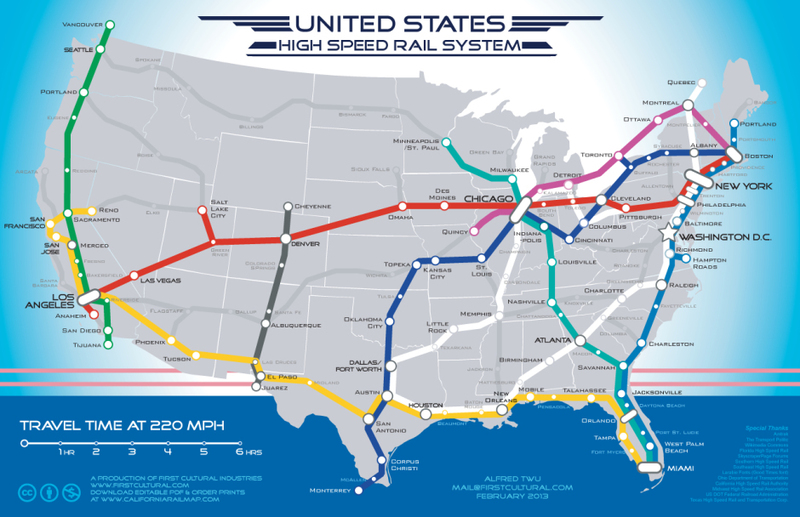 Amtrak has a disadvantage because it doesn't control its network, and its network is not prioritized like airspace or freeway networks by state and federal government. Our rail network is not built or optimized for passenger rail, but rather for freight. Faster trains and cheaper fares won't make up for the notion and reality that you don't arrive on time and that it takes longer than it should to get from city 1 to city 2. Europe doesn't have this problem. That said, there really are some nice benefits of train travel: little to no lines to wait in (show up minutes before departure), no security checks, more eco-friendly, can be cheaper, and I think it's more relaxing than flying. Posted in Consumer, Environment, Politics and tagged with Environment. April 4, 2012 by Nik Janos. Great article by John Timmer over at Ars Technica on scientific uncertainty during an intensely political and costly crises. One quibble, I don't think we can easily assume "Scientists, in general, just wanted the actual number" of oil being release into the Gulf, whereas all the other interests were political/economic. One can think of the intense and controversial period after Katrina in the engineering field, as engineers embedded in different institutions had conflicting results. The production of knowledge is always entangled with political, cultural, and economic relations. Scientist are not outside those relations. Posted in Economy, Environment, Politics and tagged with Environment, Politics. March 9, 2012 by Nik Janos. Do We Need to Talk About Climate Change, In Order to Talk About Energy? I am looking forward to reading Maggie Koerth-Baker provocative sounding new book Before the Lights Go Out. Koerth-Baker's short answer to the question above: no we do not; we do not have to agree on the "whys" in order to reach the same solutions. We'll see. The book comes out in April. Posted in Books, Climate Change, Economy, Environment, Politics, Technology and tagged with Climate Change, Economy, Politics. March 5, 2012 by Nik Janos. The idealistic, liberal, Enlightenment notion that knowledge will save us, or unite us, was even put to a scientific test last year—and it failed badly. Indeed, if we believe in evidence then we should also welcome the evidence showing its limited power to persuade--especially in politicized areas where deep emotions are involved. Before you start off your next argument with a fact, then, first think about what the facts say about that strategy. If you’re a liberal who is emotionally wedded to the idea that rationality wins the day—well, then, it’s high time to listen to reason. Great article on why educated conservatives deny climate change and believe erroneous things. Answer: it's not a lack of education. So, all the time spent bemoaning education, arguing on facts, trying to reason may not be the best strategy. Truth with a capital T doesn't guarantee political success. I think the occupy movement has been able to use the statistical data of wealth inequality in the US, combine that with a strong narrative, and street politics, which has enabled them to move past the limits of evidence fairly well. Narrative matters. Posted in Politics and tagged with Politics. February 24, 2012 by Nik Janos.